I found myself fascinated by electronic music in the late 90s and in 2001 I began playing house and trance records in my bedroom. Frequent clubbing in Stockholm at illegal underground parties eventually shaped my taste for harder, deeper and techier sounds. 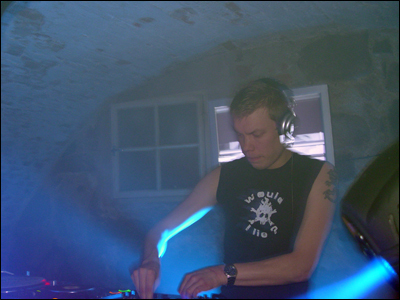 Since 2005 I've lived in Turku, Finland, and go under the name Lunardust when deejaying. In the electronic music scene of Turku I have made appearances at Diiva UG, X-Rust, Luna and Turunskene. Since a couple of years back I have been playing back2back with Jarier. In April 2011 Jarier and I launched our own techno club project called STRÖM. Today my sets carry sounds from techno, minimal, tech house and a sprinkle of deep house.